A new approach to the book of Revelation through the lens of Jesus’ teachings on nonviolence. This was, by far, the most intense series I’ve given this year: twenty-two chapters of Revelation in nine days. Yet at the same time, it is one of the new series this year that I am MOST excited to offer. This series takes a look at how John skillfully takes the most violent imagery found in the Old Testament concerning the coming of the Messiah and turns each image on its head to reveal the nonviolent Jesus. Within the story of the book of Revelation, we find, just as we do in the Jesus story itself, not a violent militaristic messiah, but a Lamb who calls his followers to embrace a new way of reaching the world—nonviolent noncooperation. Out of all the major documents from the early Jesus community that we possess today, John’s “Revelation” has received the least attention from scholars. The picture we get from the early Jesus story of the first century is that of a traveling teacher, traversing the countryside and pioneering a new moral ethic based on a radically different way of viewing “God,” ourselves, and others. Take away the lens of alarmist prediction, and use instead the lens of the ethical teachings of Jesus and Revelation becomes a whole new book! It ceases to be about predicting the future and becomes more a message of hope, coming down to the first century followers of Jesus from a not too distant possible future. It promises new possibilities for tomorrow if followers of Jesus will but listen today. Jesus gave us a way to heal our world. The question we must ask is whether or not the ethical teachings of Jesus and his unique picture of God, ourselves, and others remain relevant to us in the twenty-first century. In the fourth century, Christianity, in significant ways, laid aside the ethics of Jesus, its founder. Much good, but also much abuse has been done in Jesus’ name since. The ethical teachings of Jesus are still calling to us today. The question that still haunts us is whether or not Christian and non-Christian alike will pick those teachings back up and Follow the Lamb. 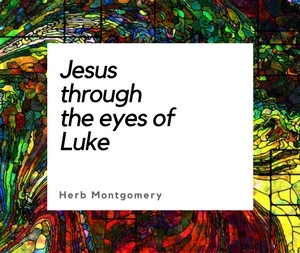 It is my prayer that this series will give you a radically new picture of God as we look at Him once again through the lens of Jesus, the nonviolent lamb.